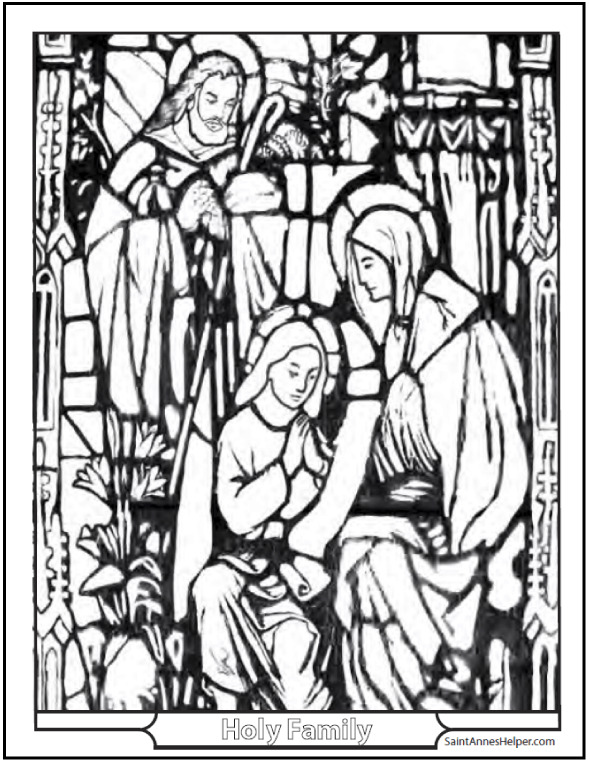 This is one of my favorite stained glass Holy Family coloring pages. Print it for catechism class or Bible study. It has beautiful images of Jesus, Mary, and Joseph at about the time when Jesus was found in the Temple. He looks to be about 12 to 15 years old﻿. This represents the Fourth Joyful Mystery of the Rosary. This PDF prints 8.5x11" single sided. Print One Of Our Holy Family Coloring Pages Here. This is such a beautiful coloring page of the Holy Family!